Aprehend® supports current best practice, ‘minimal preparation’ by clients prior to treatment. Now available for download from the Aprehend® website (www.aprehend.com/documents), these editable preparation sheets (in English and Spanish) can be printed for handing to clients prior to treatment. The prep sheets can be edited to align with company policies on aspects such as moving furniture items etc. The prep sheets also provide clients with information on what to expect after Aprehend® treatment, and what NOT to do following service. PMPs currently using the Aprehend® preparation sheets report a higher client compliance rate than previous preparation protocols. Of course, there are always clients who do not, or cannot prepare for treatment as instructed. In these situations, Aprehend® will still work, but time to eradication is likely to be longer due to the increased number of random harborages present. Announcing the arrival of two new downloadable trifolds. The first is a revamped version of our original trifold, which explains how Aprehend® works. The second includes summaries of three ‘real world’ case studies from PMPs in the field. These are now available as PDFs on our website for download and printing. We hope these are useful for your marketing and promotional activities. Please let us know if you would like us to produce any other bed bug/Aprehend® related materials that might help support your business. 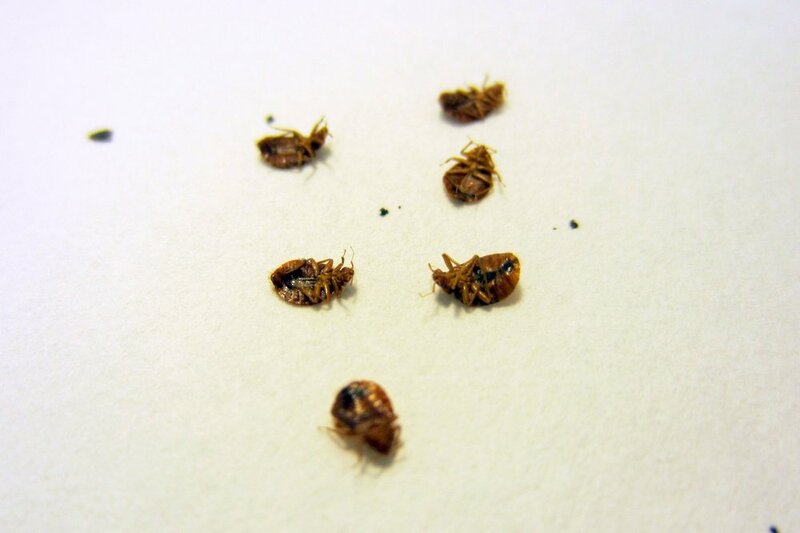 This new case study describes the eradication of bed bugs from a vacated dwelling after the landlord’s indiscriminate use of “bug bombs.” This non-professional approach led to a 6-month infestation with bed bugs widely dispersed throughout the apartment. By using Aprehend® as a primary treatment, supplemented with CimeXa® dust and intercepting devices, Witt Pest Management (Pittsburgh, PA) was able to declare the apartment bed bug free well within 30 days from the initial treatment. This new case study describes the effective pairing of Aprehend® with heat treatments to offer competitive solutions in price-sensitive markets. With an increased presence of (often unlicensed) heat treatment operators offering cheaper, but less thorough bed bug treatments, Bug Bakers™ (Columbus, OH) was looking for alternative approaches in their market. Bug Bakers™ evaluated Aprehend® and established a treatment protocol that enabled them to offer an effective alternative to heat treatment at 75% of the heat treatment cost. Customers welcomed the lower cost, chemical free approach. Bug Bakers™ are now using their heat rig about 50% of the time, while Aprehend® treatments represent 40% of their bed bug jobs, with pesticides at 10%. By offering Aprehend® as an alternative or an add-on service to heat, Bug Bakers™ has experienced a 10-15 % increase in profits. Triple B Pest Solutions (Poteau, OK) took the contract and conducted Aprehend® treatments in the bedrooms, living area, and bathroom. They estimate that remediation using traditional chemical applications would have required a total of 4-6 treatments, using a range of chemicals to ensure that pesticide resistant bugs were properly dealt with. Visual inspection 2 weeks after the initial treatment indicated no live bed bug activity in any location. No reports of ongoing activity have been received more than 3 months after the initial treatment. This new case study describes the eradication of bed bugs from a 32-unit complex in Tennessee, using Aprehend®, Cimexa™ and encasements. Property management had been battling bed bugs for over 6 years with no success. Over 50% of the apartments showed visual signs of infestation, with two apartments being classified as highly infested and cluttered. HTP Termite and Pest Control (Huntingdon, TN), took on the contract and conducted treatments in all 32 apartments. The treatments took 2 days to complete, using 4 technicians. The majority (27) of the apartments were treated only once and 5 apartments (including the two badly infested apartments) received a second application 30 days later. Visual inspection 60 days after the initial treatment indicated no live bed bug activity in any apartment. No reports of ongoing activity have been received as of 6 months after the initial treatment.